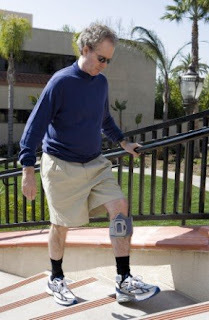 The iBOT is a wheel chair with 5 major configurations: balance (raising chair to reach shelves), stairs (climbing staircases), 4-wheel (allows for travel over uneven terrain), standard (operates as a regular wheelchair), and remote (foldable for easy storage) (Independence Technology, 2008). Hand function is necessary for this wheelchair. A prescription from a doctor is also needed. Also, the company requires a test drive. A downside to the wheelchair is that it costs $26,000, which makes the technology unavailable to all that could benefit from it. The chair's ability to climb stairs makes it very appealing. Check out the Ness L300! 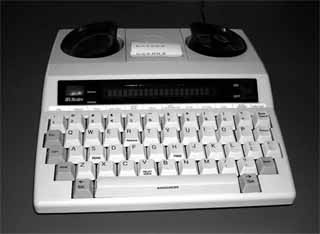 TTY stands for Tele Typewriter. It is a device that enables those who are deaf to use the phone. With a TTY, the conversation is typed. The device looks like a laptop keyboard and connects via a phone line. A call is placed through the TTY to a relay operator who translates what you type to the person you are trying to communicate with. It is portable and can be connected to any phone, anywhere. Some of the newer TTY's have answering machines, where messages are printed out so that those with hearing impairments do not miss messages or calls ( Brainerd, 2007). These are devices that help people with hearing impairments by communicating sounds through physical contact with the skin. These devices receive sound through a microphone, process the information, and then send a vibrating to the skin. These devices are especially used for detecting rhythm in music. Also, they benefit the user by helping them to understand the pitch of their own voice. Many users find this as a good alternative to a cochlear implant because it is not invasive and lets them adapt to the world around them (Audiological Engineering Corp.).